wow very lovely wall. she look very cute and I love the effect you did to the BG . Nice job. And even thou isnt that dark, I think the color you picked are good. I love purple. ^_6 well, keep up the good work. 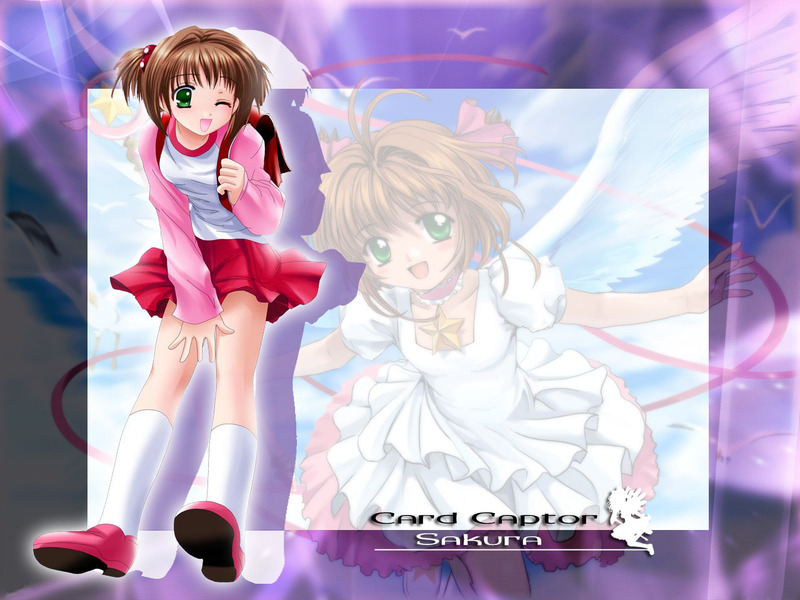 I'm a huge fan of Sakura Chan and this wallie captures the essence of her. Hehehe, I know how best to describe how great this wallie is, this wallie would make Tomoyo Chan Proud :D .
i think this is a fantastic Sakura wp. Thankyou for making all these CCS Wallies! WOW, Set as wallpaper.... OX , great wall, nice job, i love sakura.. and i like the background 2..
Hontouni argatou 4 sharin' such beautiful wallies you made!! Ganbatte...Keep it up! Oh man, you really outdone yourself on Sakura. Cute as ever!